It’s sort of like switching from a film camera to a digital camera. Instant gratification. Doesn’t take long to see the result when you carve a spoon. Not like a large mask, requiring many hours of labour before you see the final piece. There are always a few spoons hanging around the shop, in various degrees of completion. 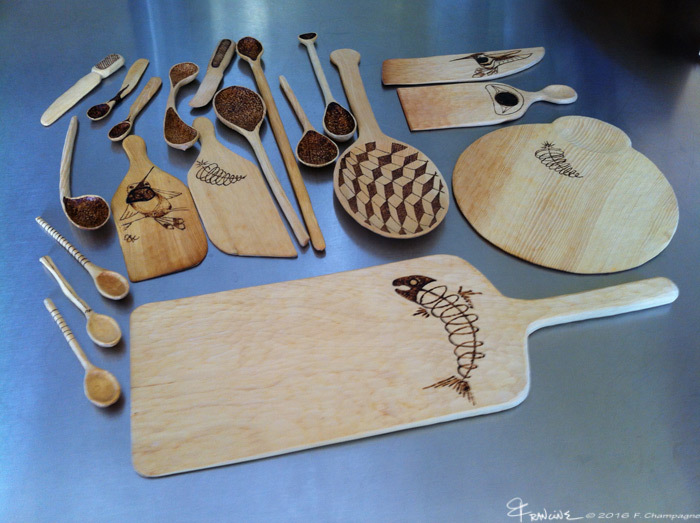 Haischtuup Robinson Cook, a carver and accomplished woodworker gave a spoon carving workshop at the Carving on the Edge festival in Tofino, BC. The spoon below was based on a design by Henry Nolla. 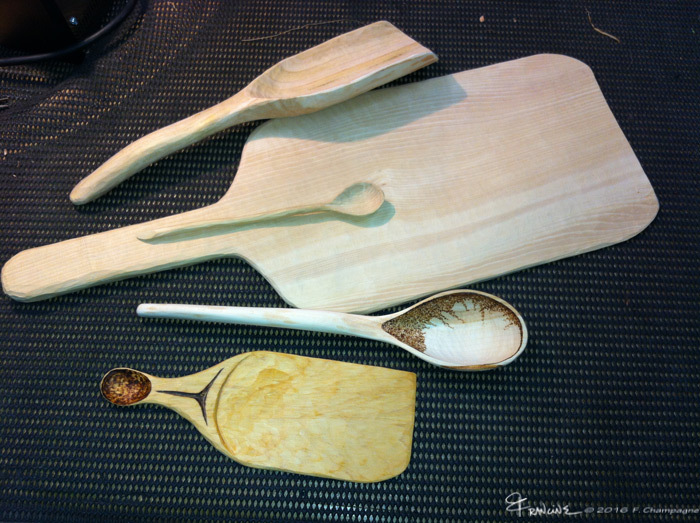 Spoon carving only required a few good tools, and no workshop at all. It is also appreciated (i think?) by family and friends. They seem to get snatched up quickly. All shapes and sizes, a great big spatula for retrieving pizza, or a weird round one for flipping quesadillas. 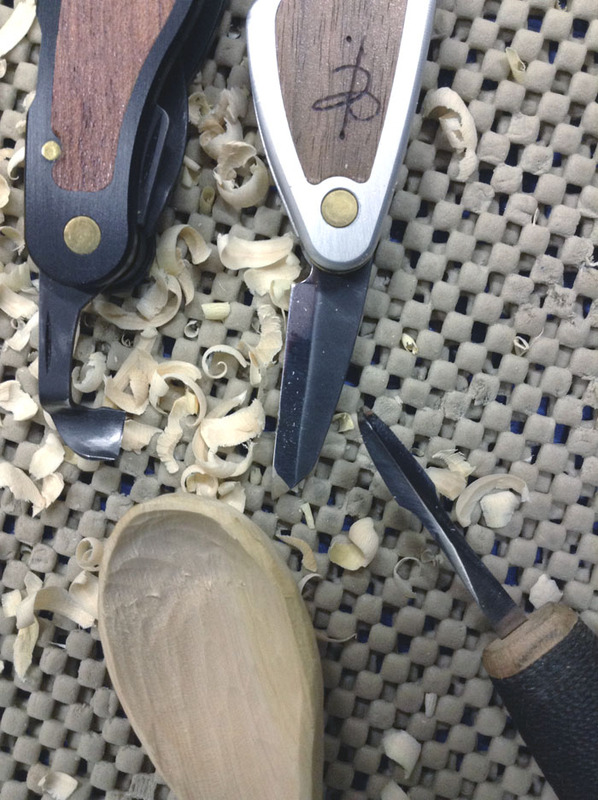 A side gouge is handy for the inside of the bowl, or a tiny crooked knife. Possibly a straight blade for the handle and outside of the bowl. 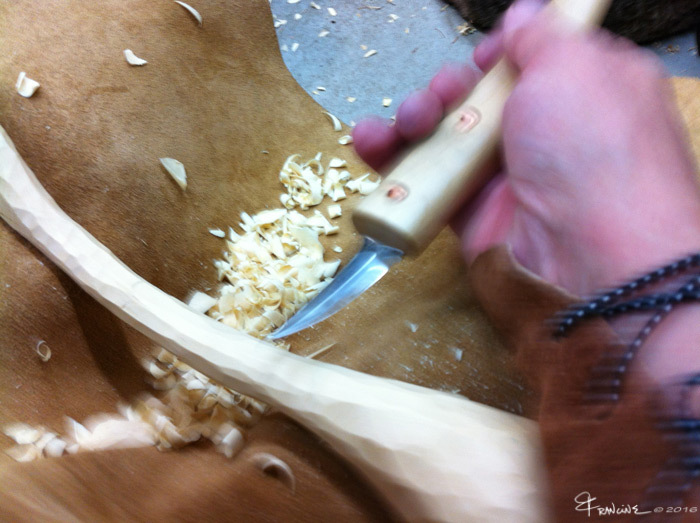 Most of the work can be done with a crooked knife. 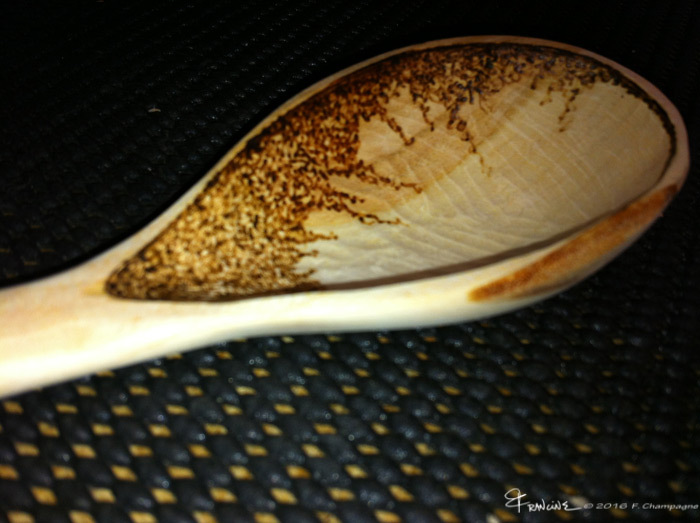 Woodburning can add detail to your spoon. Whatever you do. Have fun!